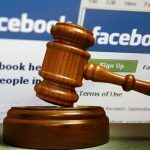 Interior Ministry has reported to Islamabad High Court that Facebook administration has been blocking illegal blasphemous content on Pakistan’s request and 85 per cent of such material on the social networking site has already been removed. Interior Secretary Arif Khan said that Facebook had taken Pakistan’s request positively and has been blocking blasphemous content on the social networking site. The matter was deliberated by ambassadors of 27 Muslim countries and a joint investigation team has been constituted to look into the matter. He further added that three arrests have been made during the course of the online blasphemy probe, out of which two people were directly involved in posting blasphemous content. Law enforcers have also found blasphemous content from the suspects’ laptops and mobile devices and a joint interrogation team has been constituted to inquire the matter. Pakistan Telecommunication Authority (PTA) Chairman Ismael Shah said a team, comprising 25 members, has been working to search blasphemous content online. He said that the authority has so far taken action against 40 such pages. He said the Facebook administration has realized the issue and “assured to comply with our demand and Facebook agreeing to our demands is a big achievement” . In his remarks, IHC Chief Justice Shaukat Siddiqui praised the government for hosting a meeting of 27 envoys of Muslims countries. The Islamabad High Court is keenly looking into the matter regarding the blasphemous content on social media. Prime Minister Nawaz Sharif has already ordered blocking any sacrilegious content while on the other hand, hearing of the case has been adjourned till March 31.